A year has passed since the launch of The London Collection and at the time we were thrilled to be able to give you an insight in to the making of it – from what triggers a concept to (finally) pulling a collection together. Creating a collection takes time, there are lots of steps in the decision making process to get the design just right. During the past twelve months we have been busy working away, and we are pleased to announce that The New England Collection has just been launched as a result of our hard work. 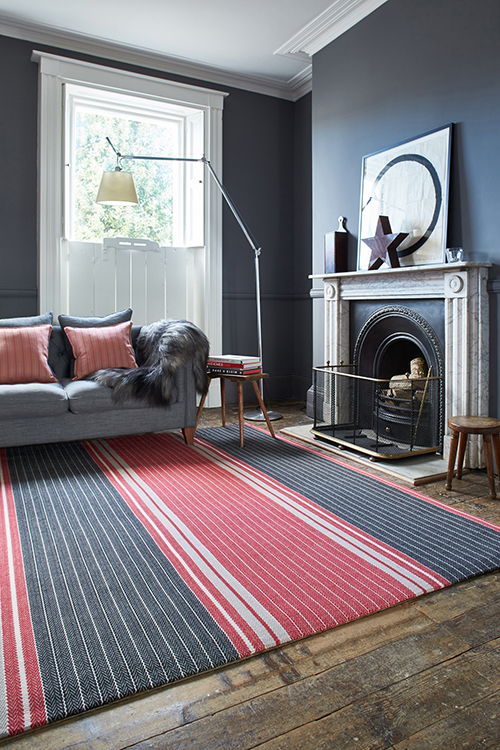 This collection is all about colour, it consists of two new designs Whitman and Westport in 13 brand new shades. 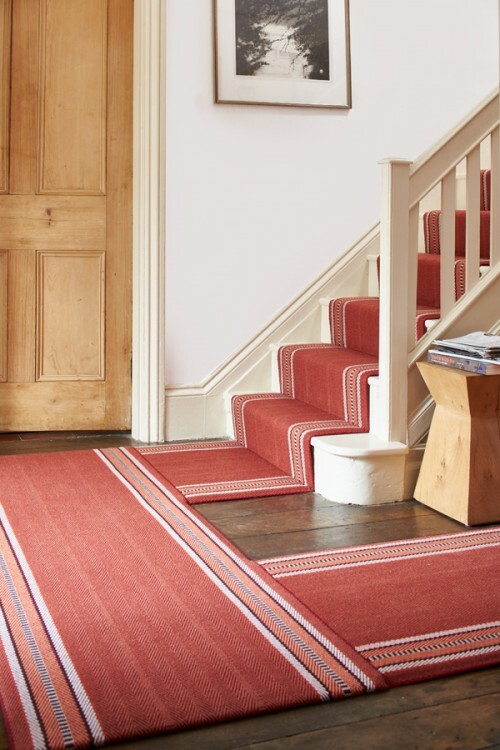 Both designs feature a classic border which make them perfect for stair runners, rugs or wall to wall carpets. 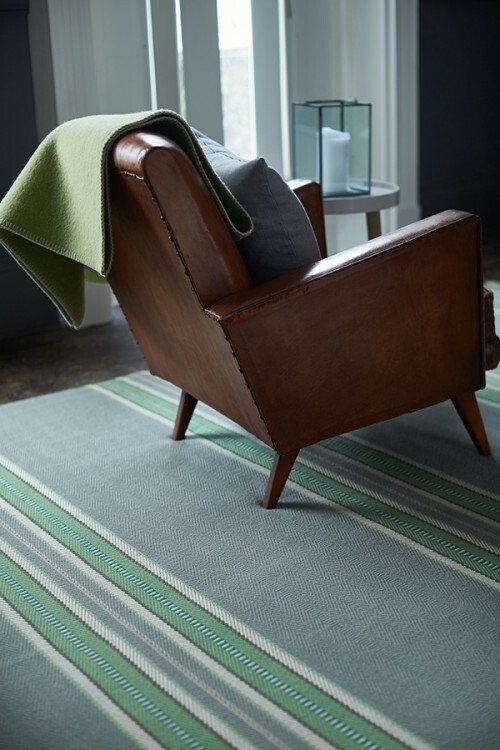 For the classic “Roger Oates look”, Westport, available in four rich jewel tones as well as five neutrals with a pop of colour is equally at home in a more traditional setting or a more contemporary location. 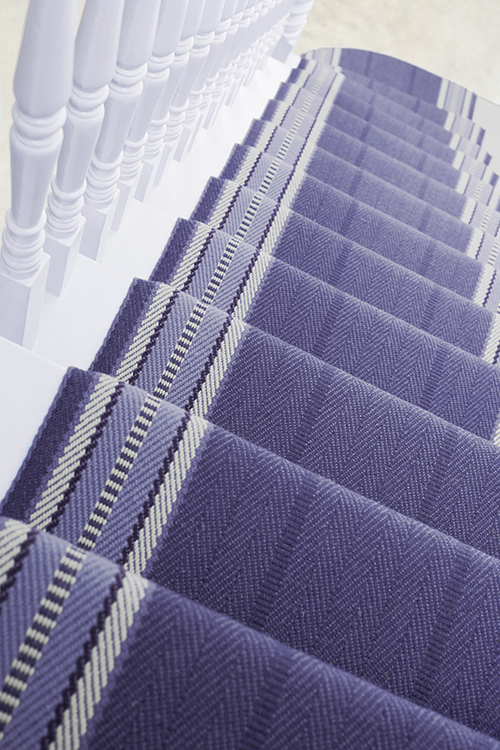 Whitman is a small-scale herringbone, which cleverly uses just two colours to create either subtle shading or high contrast texture. 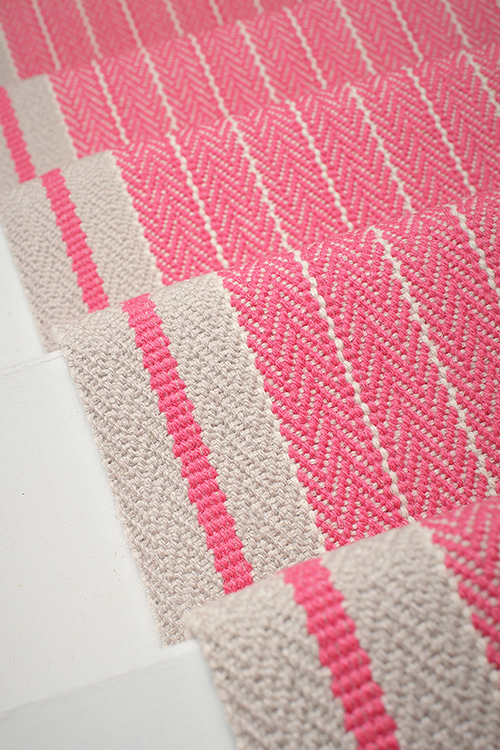 Available in four colour-ways, including Birch, a classic neutral to something fresher, Bright Rose. The New England Collection has already proved popular with our clients and we want to show you it in all its glory, subscribe to the blog to be the first to see one of our latest projects, Westport Indigo, used in a young family home in West London.